This brilliantly touching and often hilarious story follows Miles, a young actor from the big city who moves in with two friends, Morgan and Angus, aging bachelor farmers, to do research for a new play. Intrigued by the puzzling Angus who suffered brain damage during World War II, and gently tormented by Morgan because of his ignorance of all things rural, Miles attempts to integrate himself into farm life with varying success. Desperate for material, Miles includes an overheard story in his play, unwittingly breaking open the fragile pattern of the farmers’ lives. Michael Healey’s The Drawer Boy is an elegant testimony to the transcendent nature of fiction and the healing power of truth. Show times 8 p.m. Fringe Theater celebrates Black History Month, with a special reading of this Pulitzer Prize nominated play about family, heritage, and moving forward. Two nights only. Frederick Douglass Community Center, 111 Olivia Street. 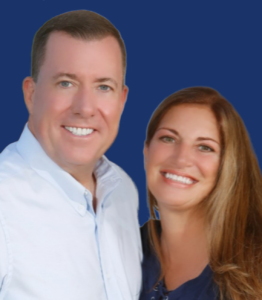 Show starts 7 p.m.
From 10 a.m. to 4 p.m., tour several private out–of-sight gardens, then return to the Francis Tracy Garden Center grounds (MM94 Bayside). The self-guided tour offers a chance to visit a wide variety of island garden styles not otherwise available for viewing. 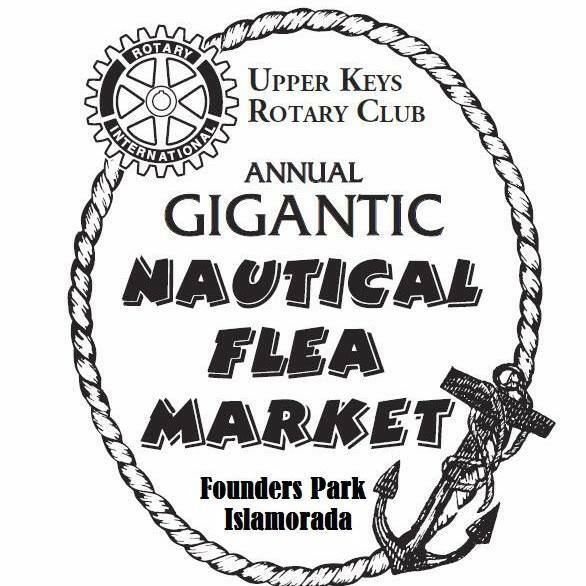 Enjoy the complimentary Tea Party, spectacular Garden Market vendors of all types, and groovy art show. Tickets $30 in advance, $35 day of. 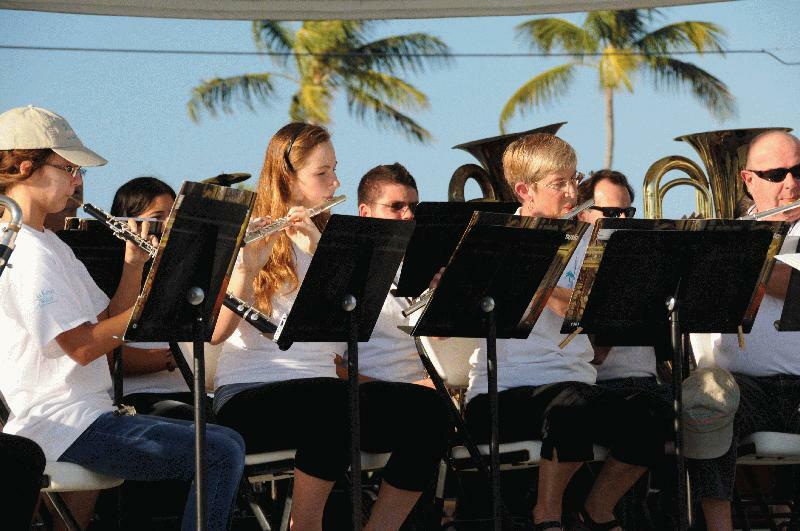 A free concert at the ICE Amphitheater at Islamorada’s Founders Park, Bayside, MM 87, Plantation Key. Performances are outdoors; no chairs provided, bring blankets. Starts at 4 p.m. Admission free. Presented by Keys Community Concert Band. Annual pet parade (bring your puppy! ), wild animal petting zoo, animal shelter fundraiser. Play-along percussion provided. Nationally recognized bands are to perform as well as Keys favorites for an all-day music fest. ALL proceeds benefit charities, including Project: Vet Relief, Relay for Life and Wesley House Family Services. The two-day, jam packed musical charity event is to be held at the Marathon Community Park Amphitheater, from 12 p.m. to 11 p.m. each day. Presented by American Legion Riders. In the Southernmost City you’ll find an amazing mix of eclectic, locally owned businesses, breweries, restaurants and bars. Key West is one of the most pet friendly places in the world! This character allows for awesome events for you and your fur babies while raising money for the Florida Keys SPCA. You and your furry friend can “crawl” from bar to bar and engage in various activities at each location. Gather up toys, photos, artwork and prizes along the way as you mingle local pups up for adoption. There’s even a pup pool pawty! 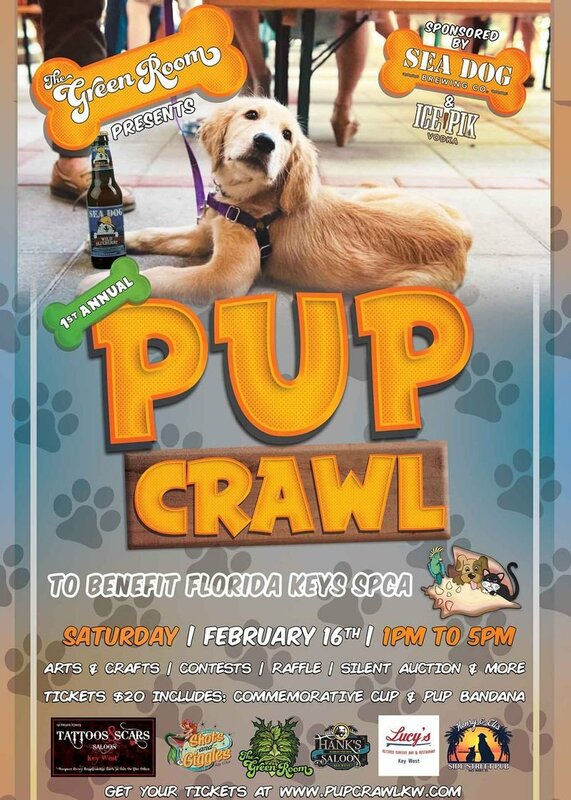 This Pup Crawl will be a fun filled afternoon for all. Registration is at The Green Room, rain or shine, starts at 12pm and Crawl begins promptly at 1pm. Tickets available now for $20, register online. 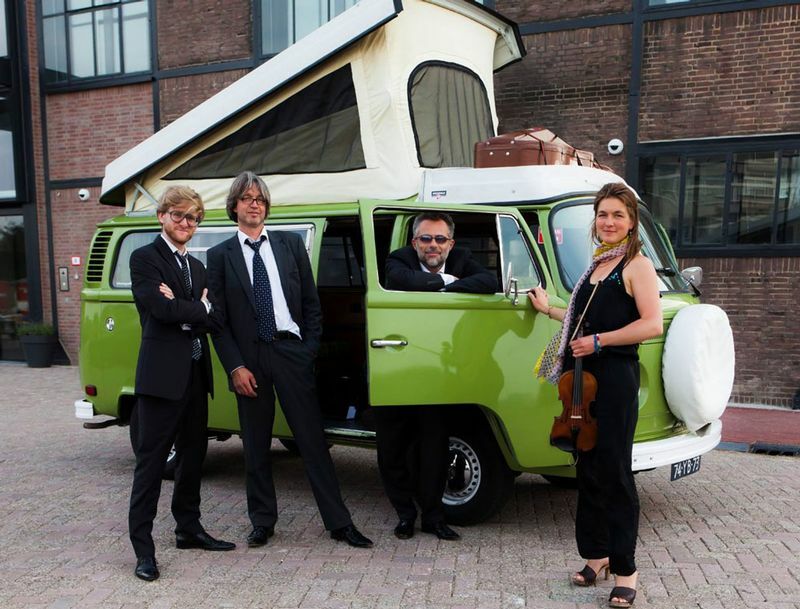 Camerata RCO is a unique ensemble comprised of members of Amsterdam’s renowned Royal Concertgebouw Orchestra. 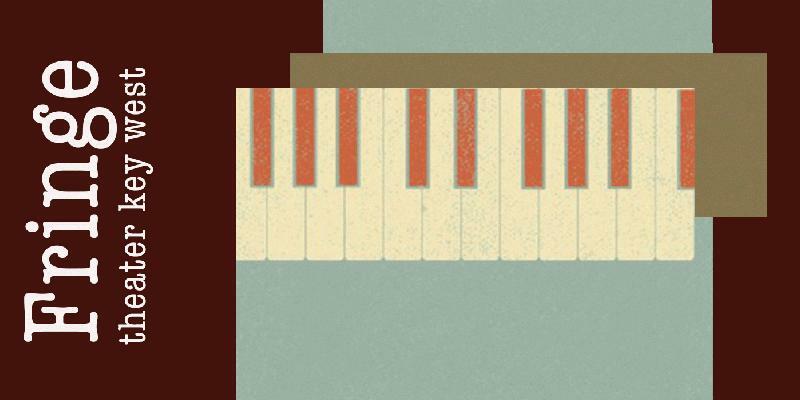 These colleagues founded this independent group with the desire to explore smaller, more intimate, repertoire. Tours have taken them to New York, Minsk, Tokyo, Seoul, Vienna, Rome and Madrid. Camerata RCO has recorded five well-regarded albums featuring music by Mozart, Mendelssohn, Corelli, and Mahler. 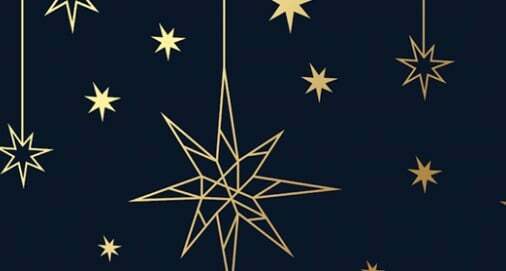 Performances take place at 4 p.m. at the historic St. Paul’s Episcopal Church at 401 Duval St. These young talented members of the great Royal Concertgebouw Orchestra of Amsterdam also love the energy and intimacy of a chamber orchestra. So, they formed this unique ensemble, which has brought that energy to delighted audiences around the world, and now to the Florida Keys. Show starts 7:30 p.m., Marathon High School. Tickets $30 pp. Dennis Beaver, curator of the Tennessee Williams Museum, is to discuss the iconic playwright who called Key West home from the late 1940s until his death in 1983. 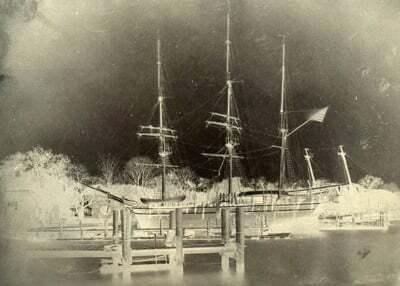 Williams lived in Key West and had a pivotal influence on the island’s literary culture. The award-winning playwright penned classics including “The Glass Menagerie,” “A Streetcar Named Desire” and “Cat on a Hot Tin Roof.” Starts at 6 p.m., Meeting Room at Old City Hall at 510 Green St. 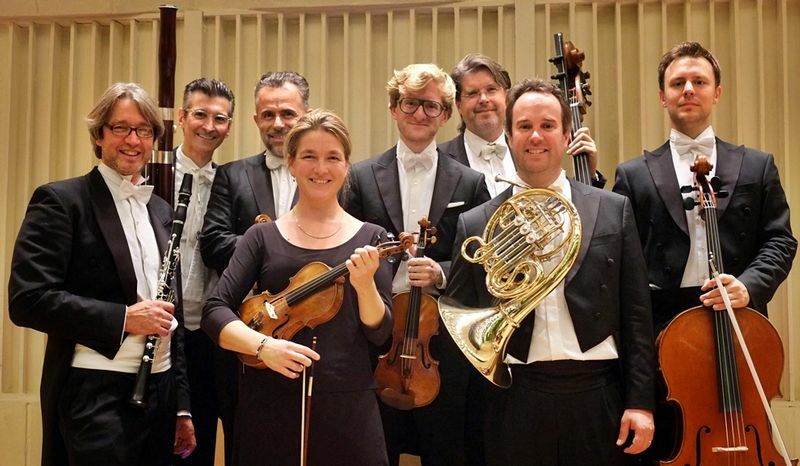 These young talented members of the great Royal Concertgebouw Orchestra of Amsterdam also love the energy and intimacy of a chamber orchestra. So, they formed this unique ensemble, which has brought that energy to delighted audiences around the world, and now to the Florida Keys. Show starts 7:30 p.m., Island Community Church. Tickets $30 pp. Come celebrate the full moon at Higgs Beach with all-ages yoga starting at 7pm, and then kick it off into high gear with a DJ and surprises all night from 8pm-midnight. 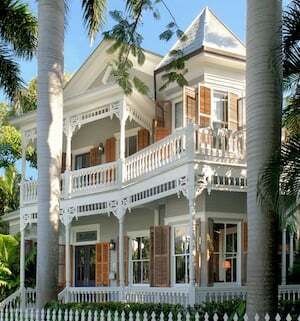 This month’s theme is: In Love with Key West. We ask that you show up in love attire with anything that has to do with Key West. February birthdays celebration is at 9pm. 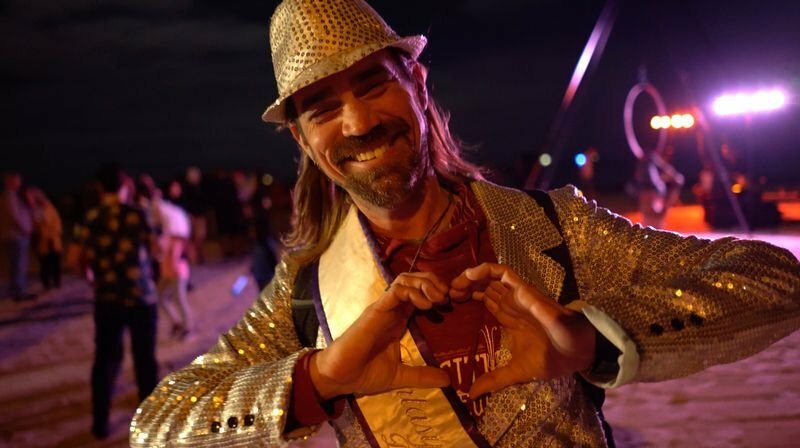 Motivated by self-expression and participation, the Key West Full Moon Experience has attracted hundreds of people to be a part of what is labeled as a “Celebration of Us”. This unique style of entertainment happens every full moon, from Oct-June, creating a different theme very month. All ages are welcomed to participate in yoga, which kicks off the night, following that is a night full of dancing with local DJs and bands, and surprise offerings every month. This is a family-friendly event. No tickets are necessary, but cash donations are accepted the night of. Costumes are encouraged, or just dust off your old tuxedo; we expect Hollywood Stars, celestial bodies, and the occasional extra-terrestrial. Plus plenty to eat and drink, and a dance floor that’s out of this world! From 7-10 p.m., at Studios of Key West, 533 Eaton St. Tickets $100 for members; $125 for non-members. 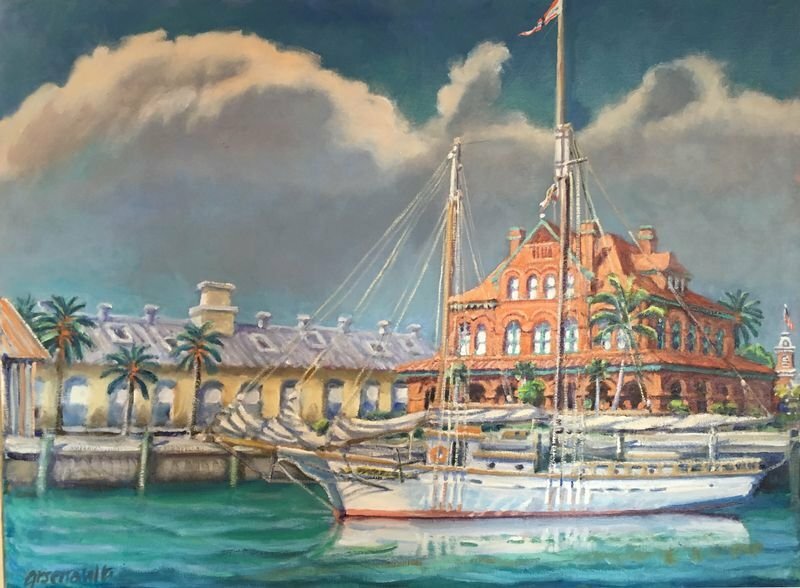 The Studios of Key West offers studio space, lectures, workshops, residencies, partnership projects and nurtures the creation of work; their mission is to build audiences and support the advancement of established and emerging creative people in the Florida Keys. Thousands of bargain hunters are expected to browse and buy fishing gear, rods, reels, line, lures and tools. Hours are 8AM – 5PM Saturday, 9AM to 3PM Sunday. Event is staged at Founders Park, MM 87. Free Parking at Coral Shores High School (MM 90). Free shuttle to the park. A $5 per adult suggested donation on entry. The 54th annual juried outdoor fine art festival features oil paintings, watercolors, sculpture, photography and other offerings by more than 100 artists from around the United States and beyond. The event takes place on lower Whitehead Street in historic Old Town. Spanish Brass is one of the most dynamic and admired brass groups on the international music scene. They have played in some of the most prestigious venues and festivals around the globe. The group has been compared to the famed 1970’s Canadian Brass for their amazing musicianship, brilliant color and comedic moments on stage that endear them to audiences. Show starts 7:30 p.m., Marathon High School. Tickets $30 pp. 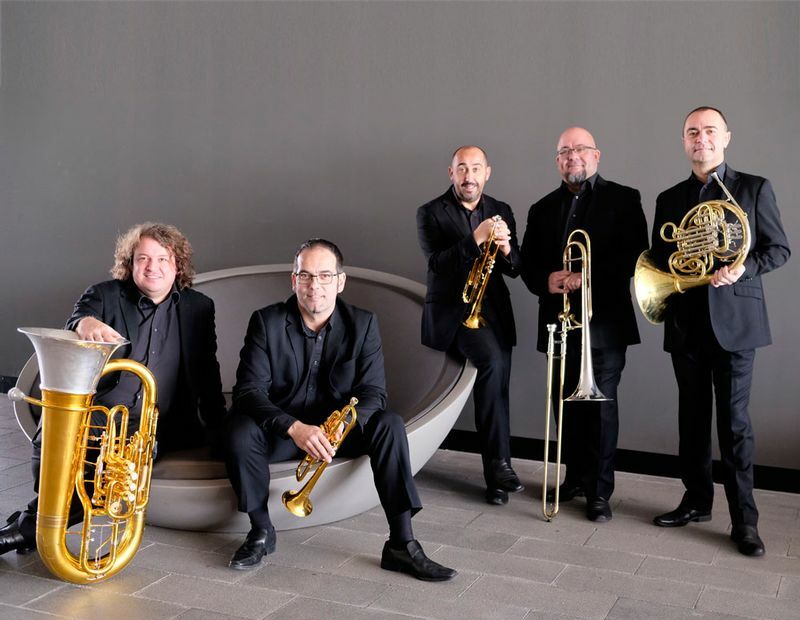 Spanish Brass is one of the most dynamic and admired brass groups on the international music scene. They have played in some of the most prestigious venues and festivals around the globe. The group has been compared to the famed 1970’s Canadian Brass for their amazing musicianship, brilliant color and comedic moments on stage that endear them to audiences. Show starts 7:30 p.m., Island Community Church. Tickets $30 pp.